I cook way more vegetables than I used to. 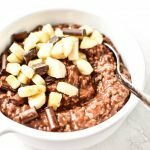 I accomplished a Whole30 goal of relying less on grains and legumes (okay, beans) to bulk up meals and we eat more vegetables than we used to. All my clothes are looser. Some things (that were on the larger side before Whole30) no longer fit. This weekend I donated over half my closet of clothes and it felt really good. Acid reflux and heartburn are completely eliminated. We were worried because Tums have cornstarch so they’re off-limits. But neither of us have needed a single Tum since Day 1. No more random unexplainable aches (including stomach aches). Sometimes it was when I got out of bed. Sometimes it was my wrist (I’ve been told there’s some tendonitis there). Sometimes my stomach would ache after excessive dairy (I think?). Sometimes my shoulder, etc. But these issues seem very diminished and rarely occur at all anymore. I’m 100% confident around nutrition & ingredient labels. I’ll always find you, added sugar!! I always knew how to read a label, but my recognition of ingredients and what to avoid has drastically improved. This is knowledge I’ll carry with me long after Whole30. One of my other goals during this Whole30 was to share recipes I knew I would continue to make after Whole30. 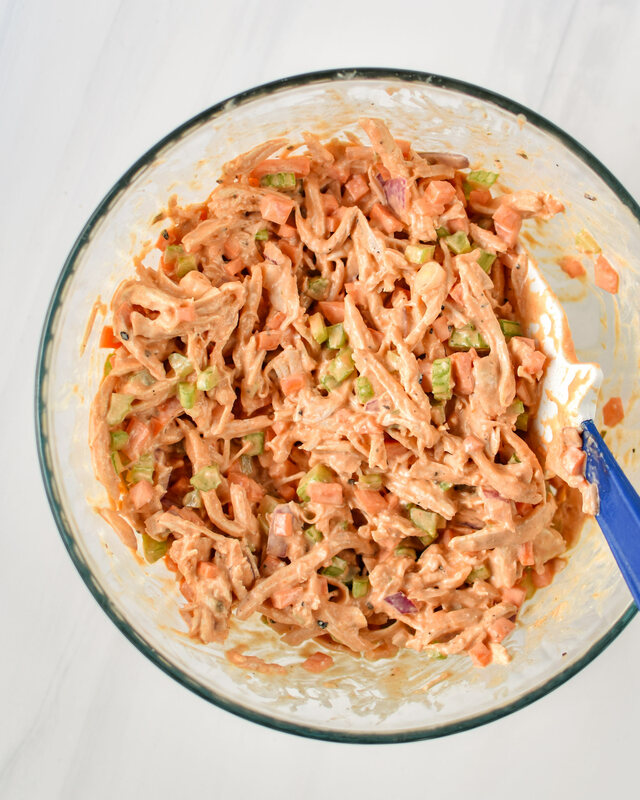 A prime example of a recipe that meets this criteria is this Easy Buffalo Chicken Salad. 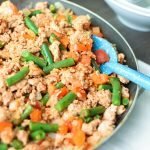 I’m a sucker for buffalo chicken anything on a menu, so it only fits that I add more of these kinds of recipes to Project Meal Plan! Try one of those if you like buffalo chicken as much as I do! 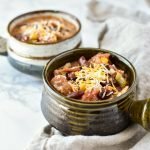 What kind of chicken is best for this recipe? Oven: Preheat oven to 425F. Lay chicken in a rimmed baking pan lined with aluminum foil (for easy clean up). Rub with 1 tablespoon avocado or olive oil and season with salt and pepper. Cook for 20-30 minutes or until the internal temperature reaches 165F. 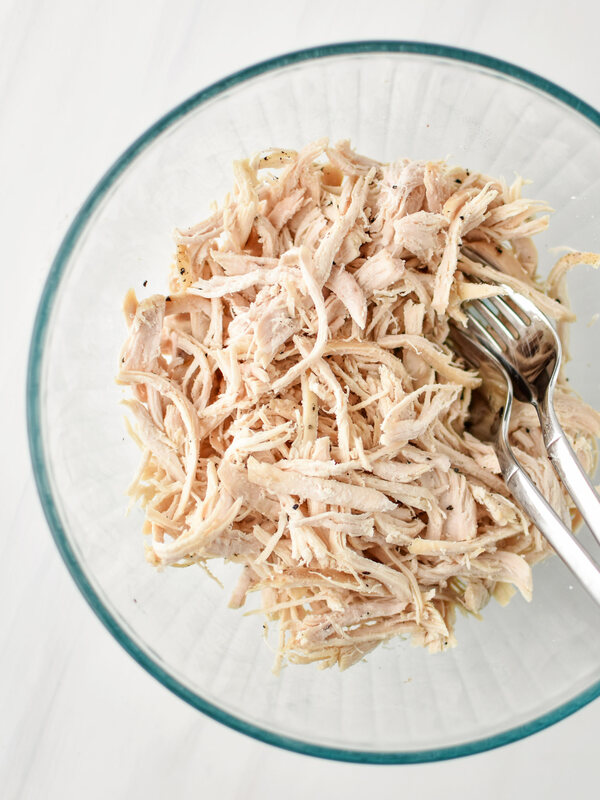 Shred the chicken as finely as possible for the best texture chicken salad. 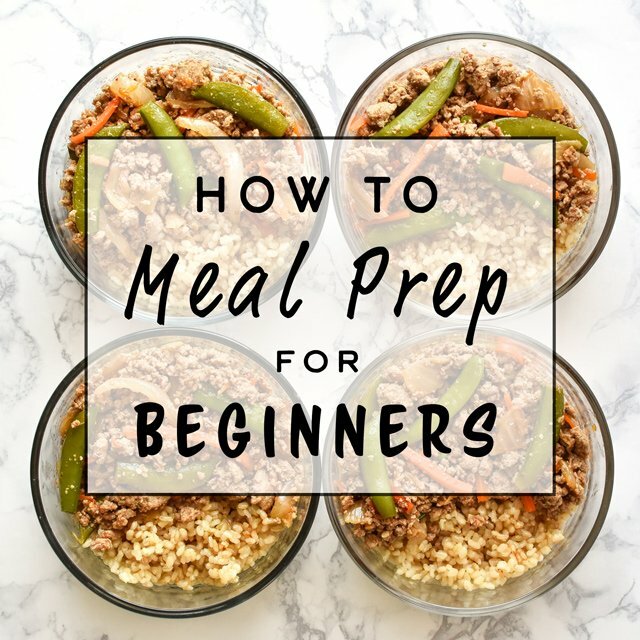 I prefer to shred my chicken just after cooking – I think it’s easier to finely shred at a warmer temperature than when chilled. 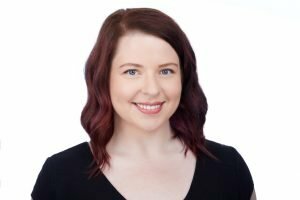 Tell me about Whole30 Mayo. 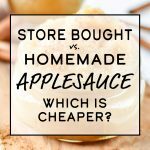 Whole30 mayo – aka plain mayo with zero sugar – is easy to make if you have any kind of blender, but particularly easy if you have an immersion blender. It takes a raw egg, light olive oil or avocado oil, mustard powder, and lemon juice. The problem with most mayonnaise from the store is the added sugar, not the mayo part! Here’s the homemade mayo recipe I followed from Whole30. 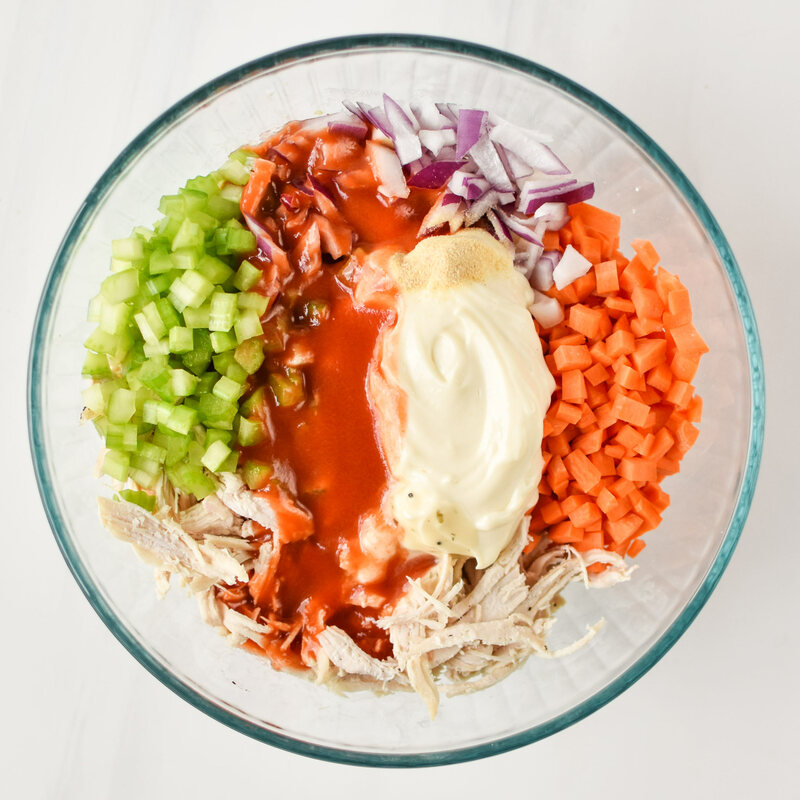 How do you make the Easy Buffalo Chicken Salad? Mix it all the way up, then DIG IN. 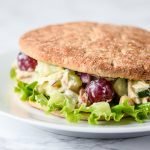 I love chicken salads because they are easy, quick, delicious and forgiving (like if you don’t have not enough or too much of something). Still always delicious no matter how you eat it! 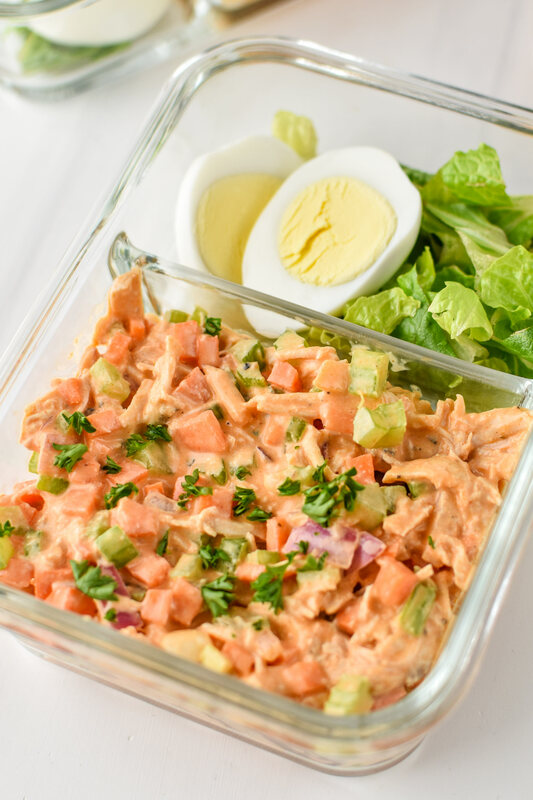 How long does the Easy Buffalo Chicken Salad last? I would be sure to eat this salad within 4 days of whipping it up, or less if you used leftover chicken instead of fresh cooked. 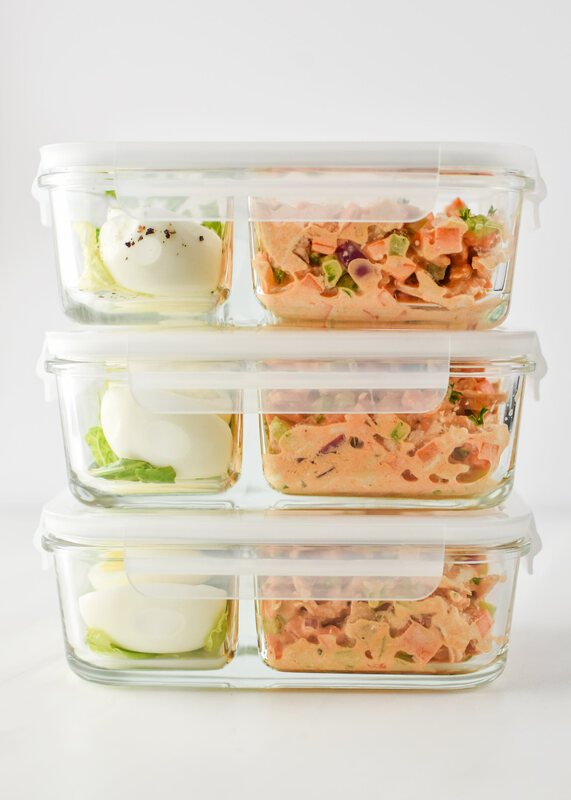 Keep it in the fridge in an airtight container or your favorite (also airtight) meal prep containers! 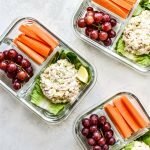 The containers pictured are these 2 Compartment Glass Meal Prep Containers (affiliate link!) from Prep Naturals. The containers are dishwasher safe, however I prefer to handwash the lids so they last longer. 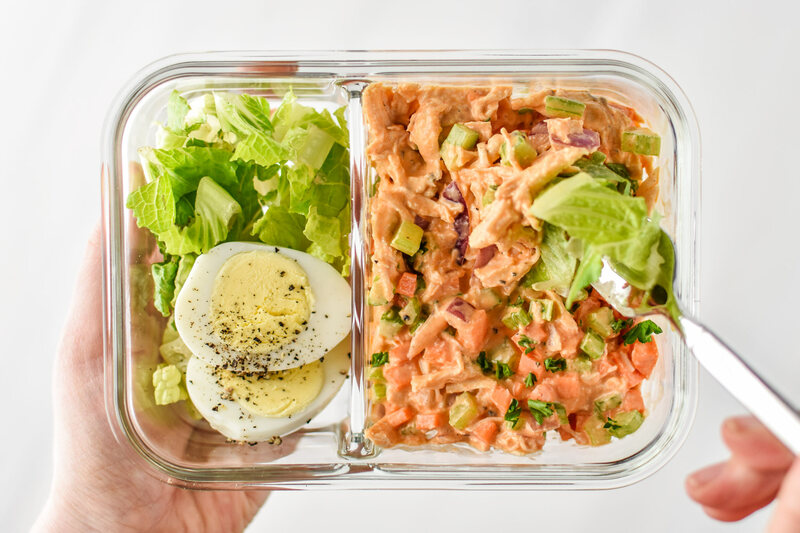 Can I freeze the Easy Buffalo Chicken Salad? 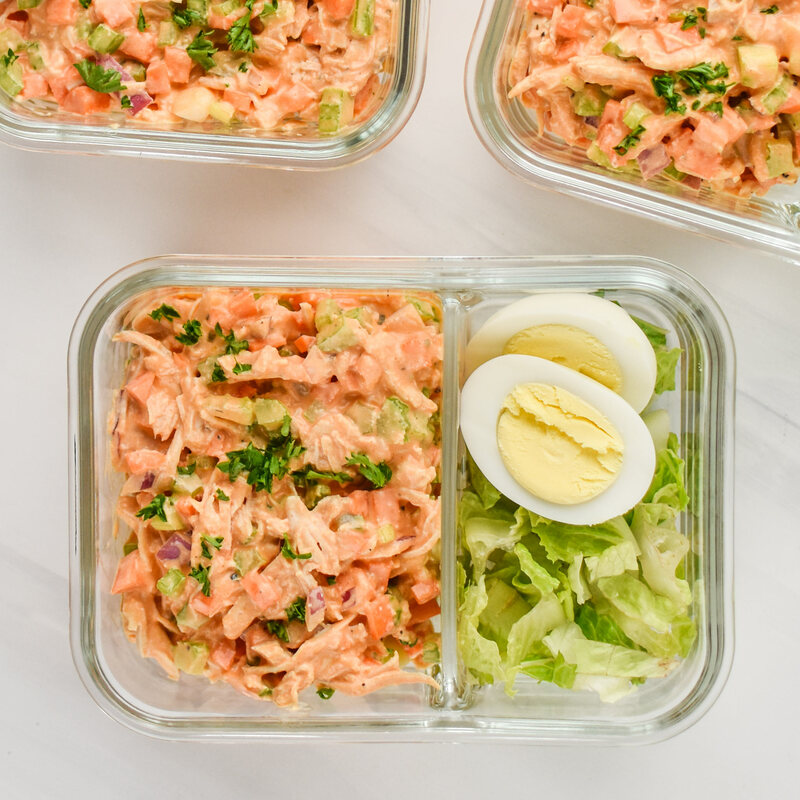 I would not freeze this buffalo chicken salad. Unfortunately, I don’t think it would thaw very well due to the mayonnaise and celery content. Everything I’ve read suggest mayonnaise does not freeze well. And I’m certain celery is not a good freezer candidate either. A better idea to avoid food waste is to make a half batch with only one chicken breast or around 8 ounces of chicken. Half all the ingredients and it should make 1 large or 2 small servings. 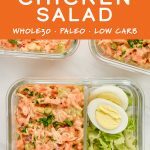 Even if you aren’t Whole30-ing, I still think you’ll enjoy this seriously easy Buffalo Chicken Salad! Tag me or use the hashtag #projectmealplan to show me your version and how you meal prep it!